AND PEACE TO ALL MANKIND. Not much decorations have been put up at our home this Chinese New Year, have been busy with works and other daily chaos. 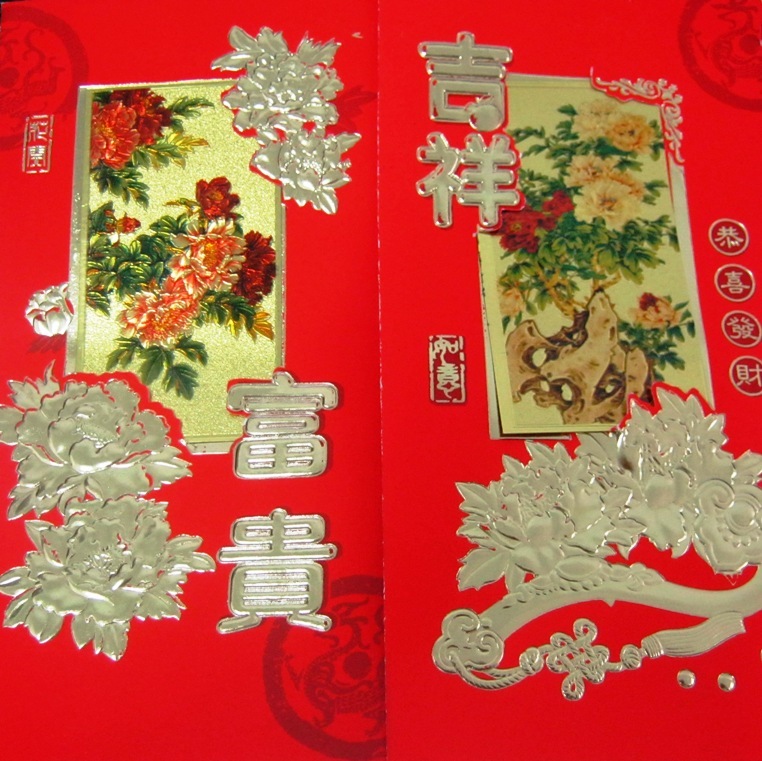 We have just put away our Christmas trees on the eve to make way for some Chinese New Year decorations. 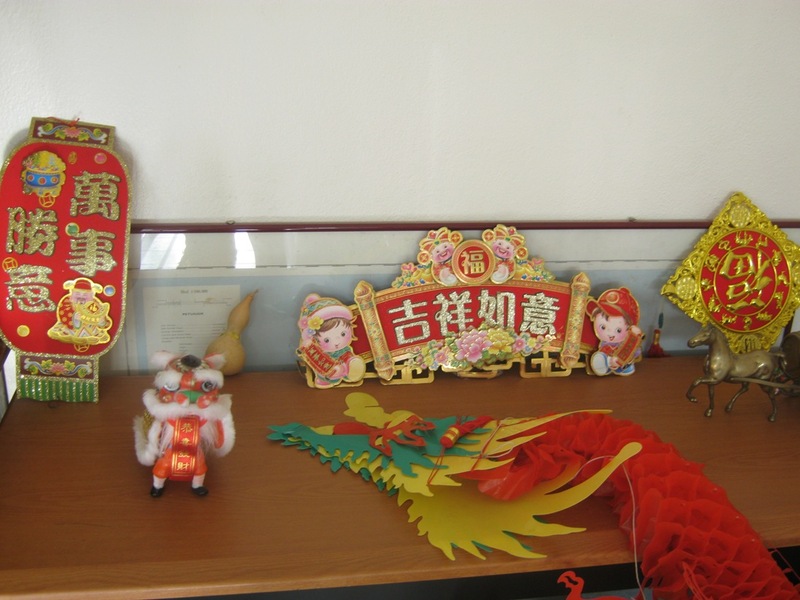 Lanterns are up few days earlier but the Dragon figurine is still very much lying on the table. 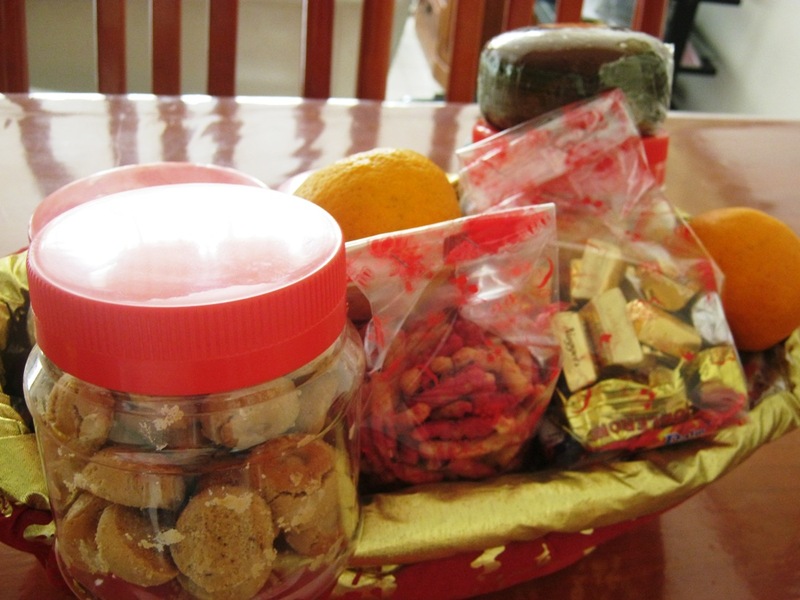 The Chinese believe that there should have some food on the dining table to welcome the brand new year, symbolizing the abundance of food throughout the year. 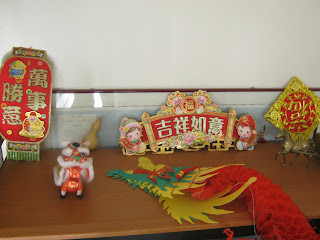 Here are some of the goodies I placed on our dining table to attract the good chi to our family. The month of December till Chinese New Year is the season to be jolly, thanks giving and to welcome the brand new year. Celebrations would not be complete without good food, and gathering with families and friends. During these festive season period, many restaurants are offering special menus to cater for those who prefer to dine out. Many working class mothers are too busy to prepare a set of complete meals for their families. Not to mention the time to shop for the ingredients, time to prepare and cook and clear up the mess after the meals. As a working mother, thinking of all these tasks is enough to make me tired. Being a busy business lady, a friend of mine who lives in Texas was telling me that they had a wonderful Christmas meal at the Republic of Texas, its banquet restaurant Dallas with her families and friends, a truly fine dining experience. Its Republic of Texas Company Store also offer over 100 gourmet Texas made products and fine foods. Of the Republic of Texas Foods, the gourmet smoked meat looks particularly delicious to me. It is also a good place to get hold of Texas wine, there are wide varieties of wine to choose from, a toss for a good year ahead. Those who love Mexican food, you could try out its Mexican Cuisine too. I also noticed on their website that a 10% discount will be given for all orders till 31st March. If you are thinking of holding parties at home, try find out from them on the catering menu or the party delivery menu, they cater for groups as small as 10 to as big as over 1000 guests. Let them handle the tedious part of any functions, that is, the preparation of food and drinks.